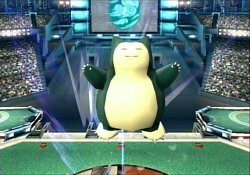 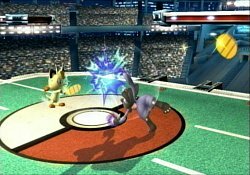 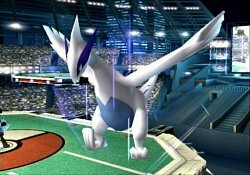 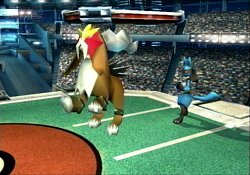 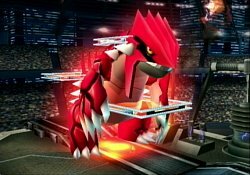 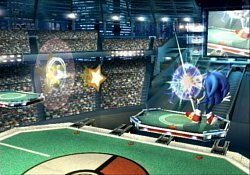 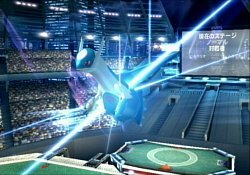 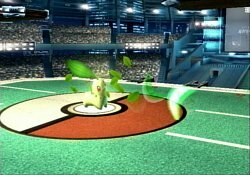 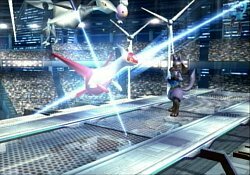 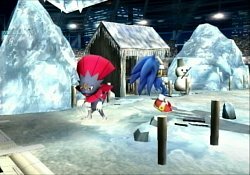 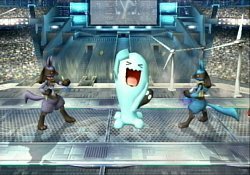 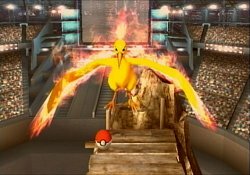 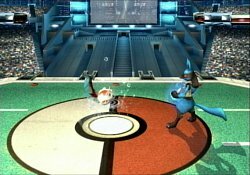 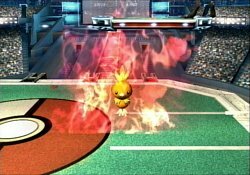 Pokéballs, a common staple of the Smash Bros franchise, makes a return in Super Smash Bros Brawl. 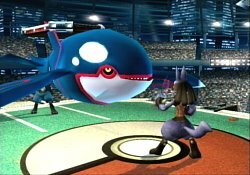 Just like in the Pokémon games, when you release the Pokémon, it comes out and starts using an attack. 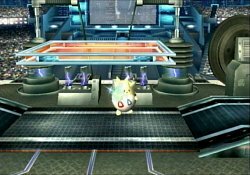 These attacks do a variety of different damages and effects so you have to be prepared. 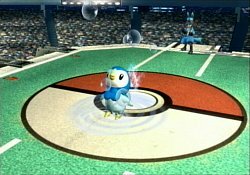 What Pokémon is released? 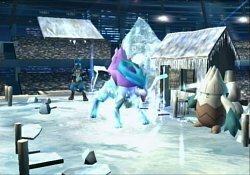 Well that's random, and some are rarer than others, so keep your eye out for them. 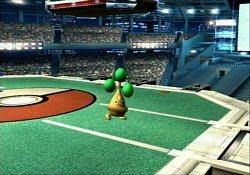 Bellossom makes a welcome return from Melee. 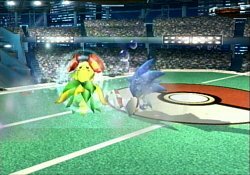 Using the same attack as in Melee, Sleep Powder, Bellossom dances around for a short time releasing a decent powder around it. 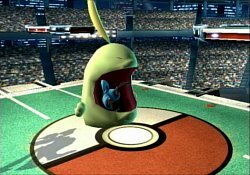 This powder will put any player who comes in contact with it to sleep temporarily. 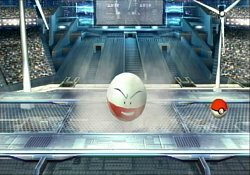 It's likely they will wake up during it, to which if they don't quickly get out, they will wind up falling back asleep. 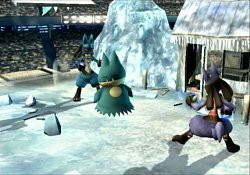 As the summoner is unaffected by the powder, this makes the opponents ripe for a quick attack. 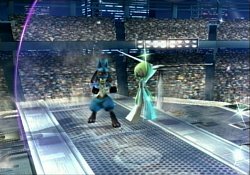 Gardevoir marks its first appearance in the Smash Bros. series by utilising it's Psychic powers perfectly. 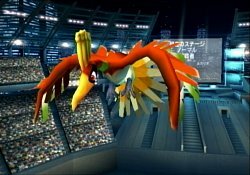 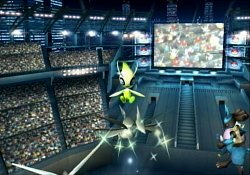 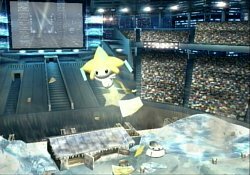 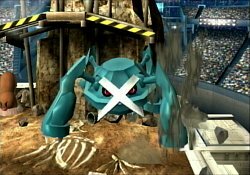 Once released, Gardevoir creats a massive circular barrier around it and starts walking around the stage, onto platforms below as well if necessary. 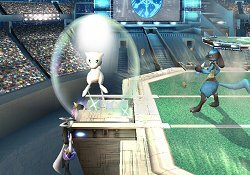 This barrier allows for characters to walk through at will, but any projectiles and thrown items will be reflected back off of it with increased damage. 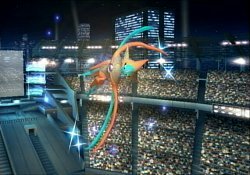 Goldeen makes its third appearance in the Smash Bros. series by doing exactly the same as the previous games. 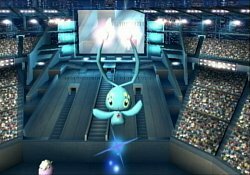 All Goldeen does is Splash around the stage, doing no damage to any character so it's essentially a waste of an item.